Barley is one of those grains that you want to add to your meals on a regular basis. Don’t forget to substitute rice for barley a few times a week as this wonderfully versatile grain is a great source of fiber and nutrients. Barley, besides having a great taste, can help boost your health in a number of key areas. Let’s take a look at four reasons why you should keep barley in your diet. Fiber, as you know, is important for your digestive system. But when it comes to the fiber found in barley, there’s more. Barley fiber has been shown to lower low-density lipoprotein “LDL” cholesterol levels because, like oats, it contains beta glucan. Beta glucan binds to bile acids. Bile acids are made in your liver from cholesterol. These acids help digest fat. When they bind to the beta glucan in barley, they get carried out of your body via your intestines. What happens next? Your liver rushes to produce more bile acids to replace the ones you just lost. And, when it does this, it uses up even more cholesterol, helping to lower levels of this fat that can be risky for your heart. Because beta glucan is a soluble fiber, it absorbs water once digested and forms gel. This thick gel slows down the process of digestion, aiding in the breakdown and absorption of nutrients. The better you are able to absorb nutrients, the less your body is likely to signal you to eat more food in its constant search for vitamins and minerals and other key substances. Soluble fiber can also help you feel full with less food intake because the food you do eat sticks around in your stomach longer. Forget the “Metamucil,” and have some barley instead. Barley adds bulk and moisture to food on its way out of your intestines. This extra bulk makes for a speedier exit, helping to relieve symptoms associated with constipation like cramping, bloating, and stomach pains. Barley also contains a type of fiber that helps to feed the friendly bacteria in your intestines. When the friendly bacteria work to breakdown barley’s fiber, a substance is formed called butyric acid. Butyric acid is an important supply of fuel for the cells in your large intestine, helping it to perform its job more efficiently. Butyric acid is also key for maintaining a healthy colon. A diet high in whole grains like barley could reduce your risk for developing type 2 diabetes by as much as 30%. This is because barley is high in fiber, vitamins, minerals, and antioxidants. Barley is an excellent source of magnesium—a mineral that plays a role in how your body uses glucose and insulin. As for barley’s antioxidants, they help to reduce oxidative stress and inflammation—both of which play a role in triggering the onset of diabetes. Behall, K.M., et al., “Diets containing barley significantly reduce lipids in mildly hypercholesterolemic men and women,” Am J Clin Nutr. November 2004; 80(5): 1185-93. 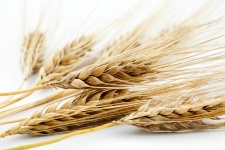 “Five Reasons to Eat Barley,” Berkeley Wellness web site, June 1, 2012; www.berkeleywellness.com, last accessed June 18, 2013. Bird, A.R., et al., “The potential role of phytochemicals in wholegrain cereals for the prevention of type-2 diabetes,” Nutr J. May 16, 2013;12:62.